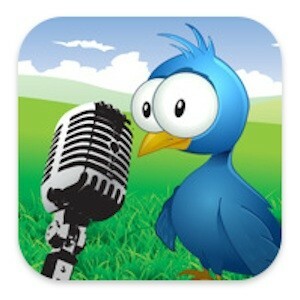 While Tweetcaster already offers one of the most successful iPhone Twitter applications (iTunes Link), the developers have have introduced an iPad compatible version of the app (iTunes Link). The iPad user interface was designed to utilize the iPad’s 10 inch screen, meaning you’ll find plenty of boxes (trends, search filters, etc.) all within the real estate of a single screen. Its iPhone counterpart, on the other hand, requires users to switch between views one at a time. TweetCaster has also developed a feature called Smart Filters, which controls your timeline with a single tap to show only tweets with photos or tweets with links. Besides a clean, visually-impressive interface, you’ll find support for multiple accounts, Facebook integration, ‘advanced’ profile editing, and all of Twitter’s standard features (such as URL shortening and multimedia uploading). Other features include custom color coding (for specific Twitter users, including yourself), multiple themes and font sizes, and Instapaper support for offline reading. You can download TweetCaster for iOS from the App Store for free if you don’t mind seeing advertisements in the app. If an occasional banner is too bothersome, TweetCaster Pro is available in the App Store for $4.99.